Love your coffee; lose the waste! As Americans, we love our coffee. And it’s hard to beat the convenience of brewing a quick, fresh cup the instant you want one. According to a 2016 National Coffee Association report, each day about 62% of us drink coffee, and about a third of U.S. households own a single-cup brewer. While these machines are certainly convenient, there is a huge cost to using them. In 2014, 9.8 billion single-use disposable coffee pods were sold worldwide — enough to circle the earth a mind-blowing 12 times! After their brief glory in creating almost 10 million cups of coffee, one at a time, almost every single one of these pods went straight into a landfill. And more are added each day. Because pods consist of several different types including plastic, aluminum, paper, and — of course — coffee, they are not easily recyclable or compostable. 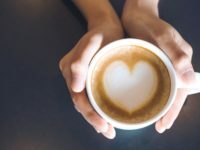 So what can you do if you love coffee AND a clean planet? Don’t lose heart. There are options. The good news is that they are all more environmentally friendly and less expensive than coffee pods; plus, they only take a bit more of your time. If you don’t yet own a single-cup coffee machine, you don’t need to buy one. Many drip coffee pots offer multiple settings to allow you to make just the amount of coffee you want or need. Combine a drip system with a compostable or reusable coffee filter, and the resulting waste is completely compostable. Single-cup French presses make delicious coffee at a fraction of the price and don’t need a filter. Single-cup, filter-based drip systems offer the same compostable coffee grounds and are available in machine or manual pourover designs. Many coffee drinkers prefer the taste of coffee brewed by traditional methods to the taste of coffee made from a pod. You’ll also be saving money because whole beans and ground coffee are generally cheaper on a per-cup basis than coffee pods. If you happen to live in one of 33% of households in America that owns a machine that uses coffee pods, or if you have one at work, please consider investing in a reusable filter unit that allows you to use the coffee of your choice by filling your own coffee pod. After each use, simply empty compostable coffee grounds from the metal unit and reuse the pod. Perhaps you are skeptical about going cold turkey and making a complete and immediate transition. That’s O.K. Try reducing the number of disposable coffee pods you use, opting for the more environmentally friendly coffee-making methods or the refillable filter pods when you want coffee but have more time. As a final option, Nescafe offers mailers and recycling drop-off locations for their used, all-aluminum coffee pods. Meanwhile, Keurig has promised to transition to recyclable plastic pods by the year 2020, although this doesn’t guarantee that local recyclers would be able to accept and capture the small pods, especially if they still contain coffee grounds. If you are looking for an easy, guilt-free cup of joe without contributing to the growing number of landfilled coffee pods, reduce waste by avoiding coffee pods or reuse by filling your own washable filter pod.